Iranian President Hassan Rouhani says the Islamic Republic, as a victim of terrorism, is at the forefront of fighting it, while the US and other Western countries are providing shelter for those criminals. 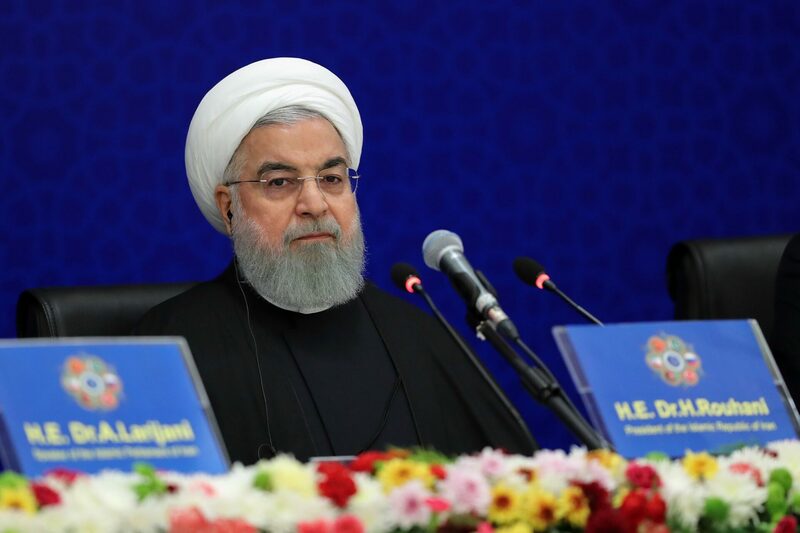 Rouhani made the comments in a Saturday address to the second edition of an international gathering of Parliament speakers from Afghanistan, Iran, Pakistan, Turkey, China and Russia on fight against terrorism and expansion of inter-regional ties. President Rouhani said Tehran has always served as a solid block against the violence and misery mongers in the world. He stressed that terrorist attacks have never undermined the resolute will of the Iranian nation and government in their relentless fight against all forms of terrorism. The Iranian president then underlined that the Islamic Republic doesn’t expect the irresponsible players in the world to shoulder new responsibilities in creating a peaceful world. He also said war on terror is a continuous campaign which should be taken seriously by all regional states. Rouhani cited poverty, corruption and injustice as the main sources of terrorist violence in the region and urged the countries participating in the conference to shoulder their responsibility to eradicate the roots of terrorism through relentless efforts and cooperation. He warned enemies against hatching plots to create divisions among the regional states and said the states should stay united in their efforts to stand against those players that spend billions of petrodollars on creating injustice. “The US’ brutal and illegal economic sanctions on the respectful nation of Iran amount to a terrorist measure. Economic terrorism means creating chaos in a country’s economy and dissuading others from holding trade ties with it. The US withdrawal from the Iran nuclear deal and re-imposition of sanctions on the Islamic Republic is a prime example of economic terrorism,” he added. He also called for the expansion of ties between Iran and its neighbours saying the regional states should put the focus of the diplomacy on multilateralism.